3. In the Scenes section, select Scene > Create or you can also right-click in the Scenes section and select Create. 5. Press the [Enter/Return] keyboard shortcut to move onto the next scene. The job and scene names are alphanumeric and can include underscores (_), but no spaces, or other special characters. The Environment name is case sensitive. You do not have to enter the word scene when entering scene names. The system automatically adds scene- in front of the name you enter. 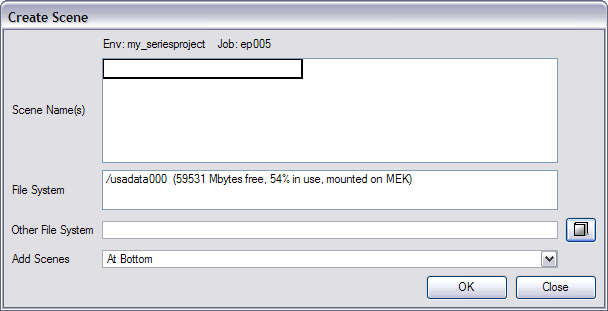 For example, enter"3" in the Scene Name field, the scene name automatically displays as "scene-3" throughout the file system. 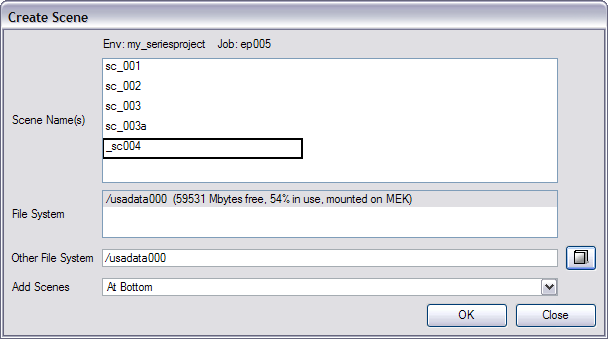 The scene name will have scene- as a prefix, but that will only be visible when looking at the scene on the file system. The scene will appear without the scene- prefix in all the Harmony applications. 7. Repeat the previous steps until you named all the scenes you want to create. 10. Click OK in the Create Scene dialog box. The system creates the new scene and displays it in the Scenes list. If you don't want to create the scene, click Cancel.